Finding your way towards a successful debt freedom begins with your choice of debt solution. There are many ways for you to get out of your credit problem. You can simply consolidate debt or take the more drastic measure of bankruptcy. The challenge is not in finding a program but in choosing which one is the best option for your particular financial situation. It is evident in our society today that we need help with our debts. According to the latest Household Debt and Credit Report from the Federal Reserve Bank of New York, the household debt grew by $129 billion from Q4 of 2013 to Q1 of 2014. The report published on the NY.FRB.org revealed that this growth is fueled by the increase in mortgage debt, student loans and auto loans. The total increase from these three type of debts amount to $159 billion but it is offset by the decline in HELOC and credit card balances – which amounts to $27 billion. While the debt that we have today is still 8% lower than the peak in 2008 ($12.68 trillion), $11.65 trillion worth of household debt is still a big amount to deal with. The same report from the New York Fed also revealed that although the debt is rising, the delinquency rate is low. This is a good indication that people are borrowing more but they are in control of their payments. However, the question remains: for how long can be keep the upper hand when it comes to our debts? A lot of us are one emergency away from a financial crisis. It is not only the amount that we need to be wary of – it is also the fact that most households deal with multiple debt situations. You simplify your debt payments by combining it into a single payment scheme. You restructure your payment plan into a longer period. You aim for a lower interest rate. Debt consolidation may seem appealing but you need to determine if it is the right course for you. No doubt, it is a legal and effective way to get out of debt but there are pros and cons that will have to be studied and analyzed before you make a decision. To help you out, here are three reasons why you can and cannot use this debt solution to get out of your credit problem. You can afford to pay off all your debts. How can you pay off debt if you do not get paid enough? This is an important question that you need to ask yourself before you opt for this debt solution. Debt consolidation only restructures your debt load. While it can successfully arrange a lower monthly payment, it will not reduce the overall debt that you owe. You need to make sure that whatever payment plan you will be coming up with can be supported by your monthly income – on top of the basic needs you need to spend for. You can afford to pay your debts for a long time. Not only should your income be enough, it also has to last for a long time. When you consolidate debt, you are able to lower your monthly payment because you stretched your balance over a longer payment period. If your job is not stable, it may be tough for you to sustain your contributions every month. You need to ensure that your money will come in consistently – even when an emergency arises. Your can afford to pay off a higher interest amount. The rate may be lower but if the payment period is longer, the total amount of interest will be higher. It may seem like you are saving but if you compute the overall interest amount that you will end up paying for, you will realize that it is actually a lot bigger. Not only that, the lower interest rate is not always a guarantee. It will be dependent on the specific program that you will use to consolidate debt, It is your aim, but it does not always materialize for everyone. You do not know why you are in debt in the first place. In Dave Ramsey, the very blunt financial adviser said that debt consolidation is dangerous. It may get you out of debt but it is only because you treated the symptoms of your credit problem. You did not go to the root cause of the debt. Because of this, Dave Ramsey believes that you will still fall into debt in the future. When you opt to consolidate your debt, you need to find out what caused it in the first place. Was it overspending or a small income? You need to work on this to keep yourself from debt in the future. You do not have a steady and stable income. We have already discussed why you need to have a steady and stable income. Your debt will not go through a debt reduction. You will only restructure your debts. That means you still have to pay it all off in the end. Make sure your income is capable of doing that. You do not have the time to complete the lengthy payment period. Another reason to skip debt consolidation is when you cannot afford to wait a long time to be completely debt free. 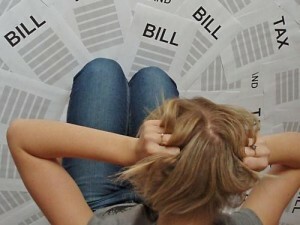 There are options that will quickly get you out of debt and consolidating them is not always the quickest way to do so. If you are about to retire and you want to be debt free before you do so, then you may want to reconsider your debt solution. There are faster ways like debt settlement or bankruptcy that will not only get you out of debt a lot faster, both can also reduce your debts. What are your options in credit consolidation? In case you are set on consolidating your debts, you may want to learn about your options next. According to Wikipedia, debt consolidation involves taking a loan that will be used to pay off multiple debts. While this is the most common way to consolidate debt, it is not the only way to do so. Here are other options for you to combine your debts into a more simple and easy payment plan. Debt management. This debt solution begins with credit counseling wherein a credit counselor will help you analyze your debt situation. They will help you come up with a debt management plan that will also be presented to your respective creditors. This plan contains your proposal for a low monthly payment over a longer period. Your debt will not be combined under one loan but you will still make a single payment each month. The total payment will be sent to your counselor who will take charge of distributing it to your different creditors. While it is not guaranteed, the counselor will try to negotiate with your creditors for a lower interest rate on your debt. HELOC. Short for Home Equity Line of Credit, this is when you borrow money against the equity of your home. You will use this amount to pay off your multiple debts and end up with only one monthly payment – on your mortgage. Debt consolidation loan. This is the most popular way to consolidate debt. You get a personal loan that has a lower interest rate than your current average. There are financial institutions who can provide you with this type of loan to specifically pay off your multiple credit accounts. To get a low interest, you need to have a good credit score.